It’s almost time for NTV’s yearly charity show “24- Hour Television”, which will broadcast on August 27- 28. A key feature of the program is the 24-Hour drama special. 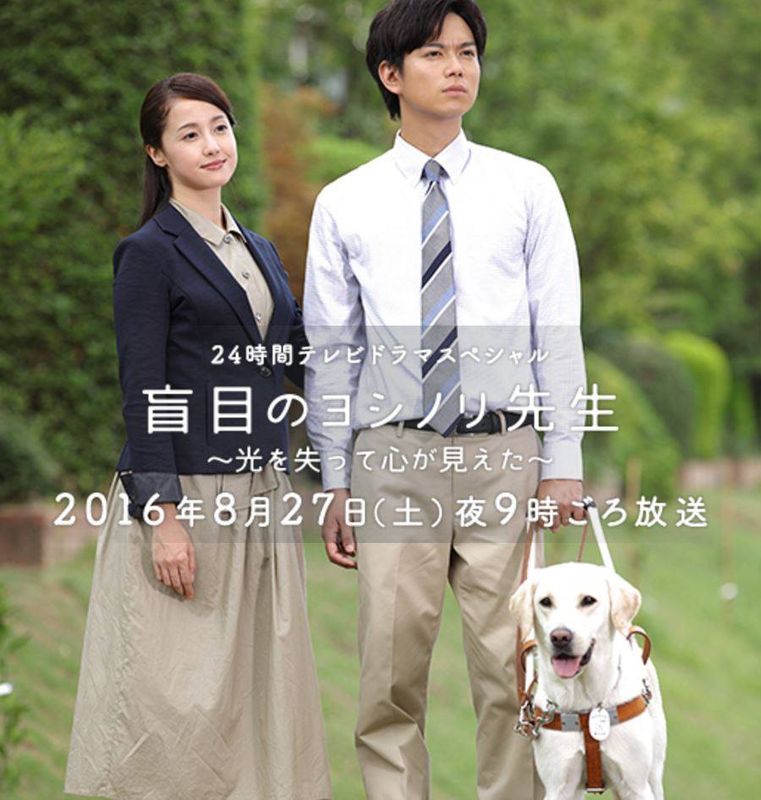 NEWS’ Kato Shigeaki will star in this year’s drama titled “Momoku no Yoshinori Sensei ~Hikari wo Ushinatte Kokoro ga Mieta~” (Blind Teacher Yoshinori). The drama is based on the novel by Arai Yoshinori. Kato will be playing the role of teacher Arai Yoshinori. Arai taught at a junior high school while going blind due to retinal detachment. 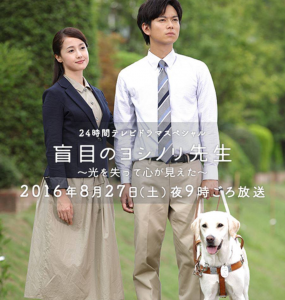 Arai’s wife, Mayumi, will be played by Sawajiri Erika. Other cast include Koizumi Kotaro, Hashizume Isao, Takabayashi Yukiko and Johnnys West Kotaki Nozomu. NEWS will serve as the main personality, and they will be joined by actress Haru. It is also the first time for this program to be held at the famous Nippon Budoukan. You might have gotten used to 24hr TV dramas being a constant tearjerker and featuring the protagonist dying from a terminal illness. Looks like this year’s drama will differ a bit by seeking to inspire from the story of the blind teacher who still lives to tell the tale. Catch a preview below! The drama will air on August 27, 9pm. Young middle school teacher Yoshinori Arai is diagnosed with retinal detachment, losing the sight in his right eye first, then his left one as well, leaving him no choice but to take leave from the school. Arai’s devoted wife, Mayumi, supported him through his moments of utter despair. She collected information about visually impaired people who were actively involved in various fields and found out about a blind teacher working at a regular school. Together they begin a battle in order to achieve his dream of returning to school once again, even with a guide dog at his side.